Which U.S. Governors have overseen the most executions? This past week, Texas Governor Rick Perry notched his 250th execution. Writers, movie stars, guys who didn’t do it … Perry has executed them all. That’s far and away the most for governors under the modern US death penalty regime. But is it an all-time record? 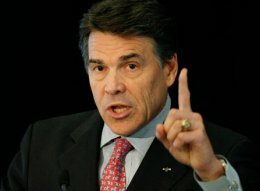 Rick Perry is number one. The answer appears to be “yes”: a review of state execution data reveals no other governor throughout the U.S. constitutional era who even approaches Perry’s body count, at least not when it comes to peacetime civilian cases. Only two other men — Perry’s predecessor George W. Bush, and Depression-era New York chief executive Herbert Lehman* — appear to have signed off on as many as one hundred executions. Omissions or mistakes by the Espy file itself. Miscalculations or misdating on my part. Governors who served non-consecutive terms who I’ve failed to identify. Beyond attributing numerical counts to date ranges, this list reflects essentially no state- or period-specific research: it’s worth bearing in mind that the legal context and gubernatorial authority relative to the death penalty vary over time and between states. A name and a number on this list is not the same as judging a governor personally “responsible” for all or any of those executions, not even necessarily to the extent of having signed off on a death warrant. It’s only in the late 19th century and into the early 20th century that states centralized all executions away from localities and into state penitentiaries, with the familiar appeal-for-clemency ritual. A given governor’s personal involvement in a given local execution prior to that (and particularly in antebellum America) is not to be assumed. Even now, some states (present-day Texas included) limit the ability of the governor to extend clemency, or vest that power in an agency. The large numbers here predictably map to large states (with lots of people to commit lots of crime and generate lots of death cases) and/or long-serving governors. Rick Perry is about to start his 13th year as Texas governor, and this is actually a remarkably long tenure. Most governors in U.S. history have held the office for surprisingly brief periods, just 2-4 years. Typical office tenures have somewhat lengthened into the 20th and 21st centuries, but this is just when the execution rate itself has fallen off. Many of the larger (50+) execution totals come from the period when those two trends crossed in the first half of the 20th century, with men (Ann Richards, George W. Bush’s predecessor, is the only woman to show) running large states for five-plus years. Liberal “Rockefeller Republican” Thomas Dewey, with 95 executions as New York’s governor. Gifford Pinchot, who’s best known as the progressive-era father of the Forest Service, but also spent eight years as Pennsylvania’s governor and oversaw 81 executions. Feel free to chime in with corrections, data points, musings, and bootless speculations in the comments. * Herbert Lehman was the son of one of the founders of Lehman Bothers investment bank. Bush was the son of the founder of the inexplicable Bush political dynasty. We’re guessing nobody thought of their prolific-executioner connection when the Bush administration let Lehman Brothers go bankrupt in 2008.